We customized our Nurselog side table and planter for a new office at the Nike corporate headquarters in Portland, Oregon. Three faceted tables fit together with only one receiving the round knockout for the planter insert. 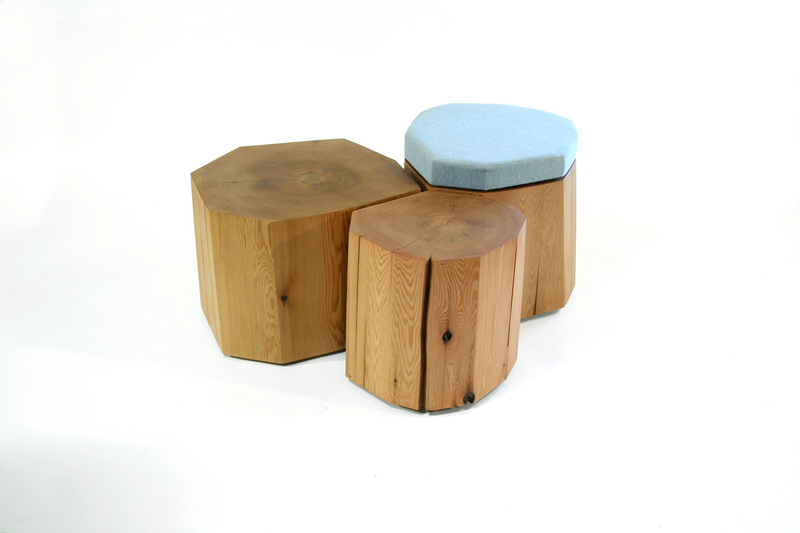 As an added feature, the knockout can be used to hold a seat cushion upholstered in wool. The three separate tables as well as the planter and stool options make this a versatile piece that also adds warmth to the space.